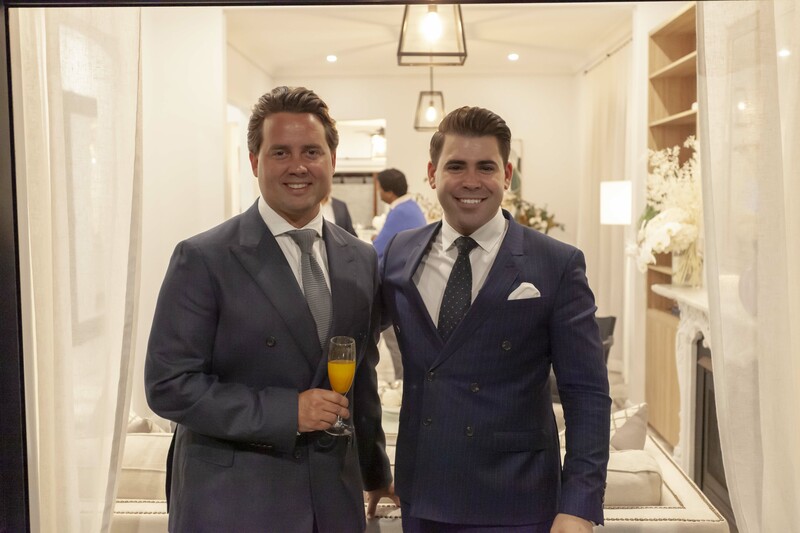 O’Sullivan Road, Bellevue Hill was lit up Wednesday night and just for a moment you could’ve mistaken you were at a Million Dollar Listing LA launch event. Agents from the leading group Ray White Double Bay hosted a VIP Event to launch 133 O’Sullivan Road, Bellevue Hill to market. Agents Evan William & Benjamin Goodwin rolled out the red carpet for more than 50 guests – with drinks and canapes served – as this luxurious 3-bedroom residence set as the perfect backdrop. Agents Evan Williams & Benjamin Goodwin, hosting last nights Hollywood grand opening. Rarely seen in Sydney’s eastern suburbs this launch concept was designed to add an extra element to the marketing campaign which went live online earlier in the day. Gauging by the feedback from guests on the night, it was a resounding success. “An area as stunning as Bellevue Hill is yearning for an open home event nothing short of spectacular, the home deserves nothing less than it’s Hollywood style launch,” Mr Goodwin said. “After 15 years in the industry I can say apart from having seen similar cocktail party launches on television shows like million dollar listing New York I have never witnessed such a spectacle in the Sydney market. My wife Kashaya of Kashaya & Co also contributed some stunning floral arrangements”. said Mr Williams. The never lived in before home of Dr Ijaaz Khan and his wife Taghrid Khan has been completely re-designed to an exceptionally high standard, with luxurious bespoke fixtures and premium quality finishes throughout. “Its seamless design integrates everything Australian about outdoor living and entertaining” – and with a beautiful view of the golf course, what more could you want! ?” said Mr Goodwin. Auction is set for Thursday, May 9 with a guide of $3.5M.